Owl’s tree is filled with noisy daytime creatures...but Owl has a surprise for them. Where do chickadees go at night? “A flight of fancy into the natural world;” delightful and with a gentle reverence for nature. An old oak tree crashes in a storm. 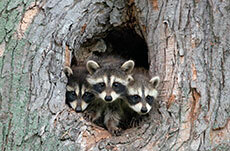 Who lives in and under the rotting log? Informative and lyrical text; stunning illustrations. Level 2 reader. Explores the wonder and mystery of trees. A straightforward, clear description of a single chain of events. Laura Salas has published over 100 books for kids and teens and won the Minnesota Book Award. Breathtaking photographs and stories from the boreal forest to the rainforests. 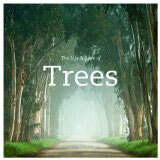 This edition, we are focusing on trees and their relationship to our feathered friends. Beginning Birder highlights the Northern Flicker, a bird that uses trees to nest in and also to drum on when they want to “talk” to other birds in the area. 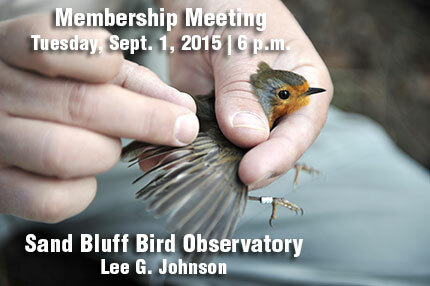 Consider joining us for the Membership Meeting on September 1st at 6:00 p.m. where Lee G. Johnson will present information about the Sand Bluff Bird Observatory. You will learn cool facts about banding birds and why habitat (trees! ), especially along migration routes, is so important. The meeting will be held at St. John United Church of Christ. See the August-September newsletter for more information. This meeting is a potluck, so you also get a chance to eat some amazing food provided by all participants! 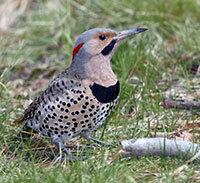 Northern Flickers are large brown woodpeckers. On walks, don’t be surprised if you scare one up from the ground. It’s not where you would expect to find a woodpecker, but flickers eat mainly ants and beetles, digging for them with their unusual, slightly curved bill. When they fly, you’ll see a flash of color in the wings — yellow if you are in the East and red if you are in the West — and a bright white flash on the rump. Northern Flickers generally nest in holes in trees like other woodpeckers. 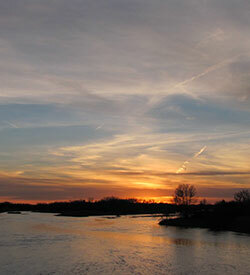 Occasionally, they have been found nesting in old, earthen burrows vacated by Belted Kingfishers or Bank Swallows. Look for Northern Flickers in woodlands, forest edges, and open fields with scattered trees, as well as city parks and suburbs. Taken from the Cornell Lab of Ornithology website; you can explore sounds and videos of Northern Flickers from the Cornell Lab of Ortnithology’s Macaulay Library archive. 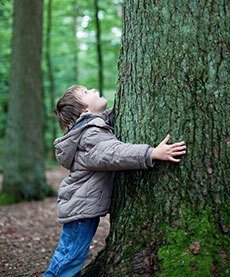 Touch a tree; rub your cheek on the bark. Is it rough or smooth? Can you put your arms around it? Is it older than you are? Can you find plants growing on it? Do you see or hear any birds in the tree? What are some plants and animals that depend on trees? What do trees provide for these plants and animals? 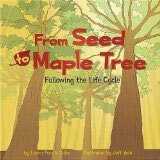 Can you see signs of life on the trunk, branches, roots, and leaves? How is a tree affected by the plants and animals that live on it?